The music is, after all, a big part of what made the Beatles enormously famous worldwide. All songs written by John Lennon & Paul McCartney except * written by George Harrison. 10 songs for the Beatles debut album were recorded in a marathon 16-hour session, and the band wasn't even fully fit. John was suffering from a cold and by the time they recorded the last song, he was bare chested due to a high fever, and his vocals were in tatters. But that didn't stop him from delivering a show-stopping, truly rock & roll performance on 'Twist and Shout'. All songs written by John Lennon & Paul McCartney except where noted. 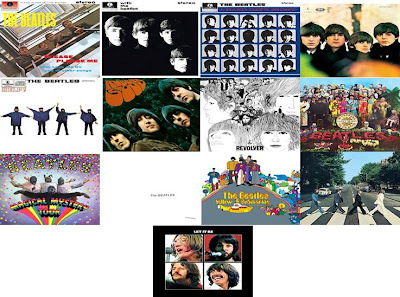 Sessions for the Beatles second LP began amidst a hectic British tour and contained eight original compositions, seven by the Lennon/McCartney powerhouse and one by George Harrison, his first recorded and released. Despite George not liking it too much later on, I think it's a rockin' little number that stands up well next to John & Paul's songs. 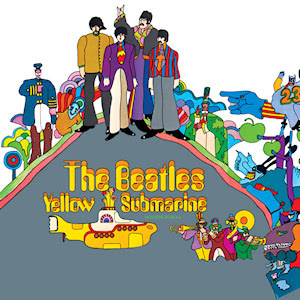 The Beatles were making their first feature film and the first seven were used on the soundtrack. 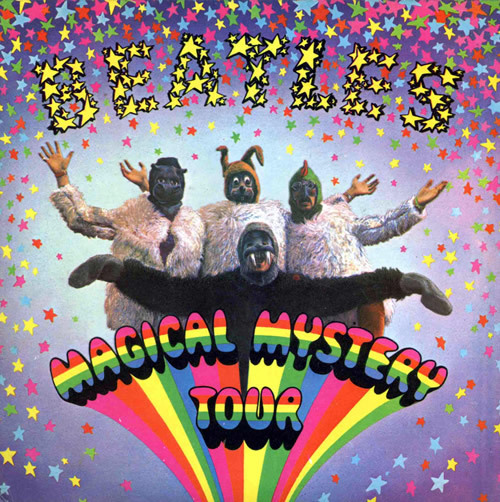 This was the first Beatle album to contain all original compositions and no covers of other artists' material. All songs written by John Lennon & Paul McCartney. Beatles For Sale was released at the end of a hectic year for the band which had seen them take the world by storm. 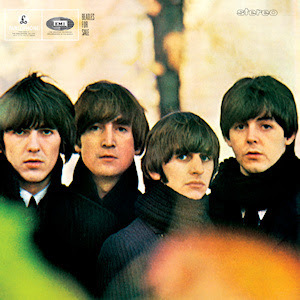 As a result the mood of this album is somber, sad affair which is compounded by the cover photograph of them taken in Hyde Park in London showing them looking tired and weary. Another film and another soundtrack. 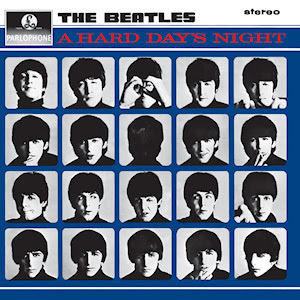 As with A Hard Day's Night the first seven songs were used in the film. 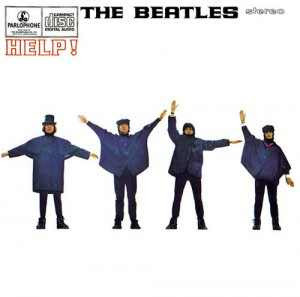 The cover photograph shows the four using their arms to spell out "NUJV" in flag semaphore which don't stand for anything but hold it up to a mirror and you get the letters "LPUS" - "Help Us", perhaps? 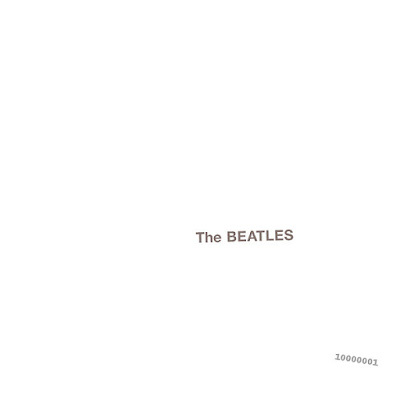 This album marked the last time the Beatles would record two albums a year. It was also the first time the band actually could take time to record an album rather than the shotgun sessions in between tour dates they had done on their previous albums. 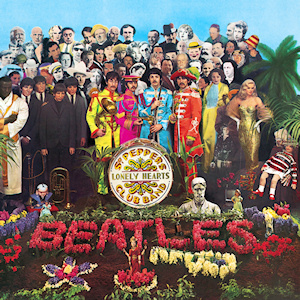 This album also marked the first time the band's drummer, Richard "Ringo Starr" Starkey, got a songwriting credit. 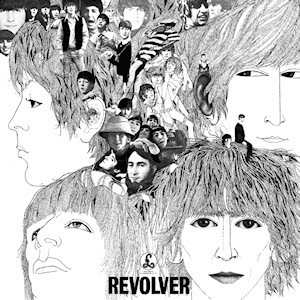 Revolver was released in the summer of 1966 and it immediately became clear the Beatles were not just a "passing phase" as many parents and elders had confidently predicted. Backwards guitars, tape loops and a string octet are among the new sounds the Beatles are debuting for their fans and critics here. After a disastrous world tour in 1966 including a terrifying stop in the Philippines and the threat of assassination in the deep south of the United States after a remark made by John Lennon was quoted widely out of context, the band finally put their Beatle boots down and then took them off and hung them up. Although they'd made no formal announcement, they made their concert at Candlestick Park their last ever concert on American soil. The Beatles would never tour again and for the months afterward their fans feared they had split up and the critics started growing restless. "They looked so different, they weren't in matching suits, they had on different, colourful clothes. John was so thin. They all had moustaches, I didn't recognize any of them until Paul spoke and said "It's the Beatles! Live!" None of us knew what to ask first. They had really changed." Preempting the release of the TV film of the same name, this was a double Extended Play (EP) rather than an album. It also was the first time an instrumental, and a song that was composed by all four band members, appeared on a release. The Beatles' first double album was recorded amid a very tense and volatile atmosphere with the Beatles going through a major crisis. With the death of their manager, Brian Epstein a year earlier and John bringing his new girlfriend, Yoko Ono, to the sessions the band were finding it hard to be a creative, cohesive unit. 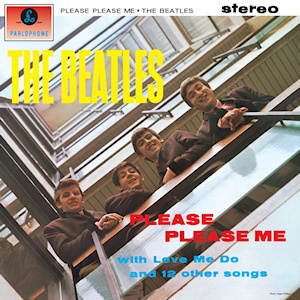 Their longtime producer George Martin decided to go on holiday due to the icy reception the band were giving him in the studio and left Chris Thomas to take care of them and, feeling isolated, Ringo too decided to leave and went on holiday to Sardinia, leaving Paul to play the drums on the first two tracks of the album. (Ringo eventually returned and walked into the studio which was decked out in flowers by George Harrison) Indeed, most of the songs are obvious solo compositions and the album plays out much like that but despite all the bickering and tensions they still had what it took to make a great album. Ringo even got his first ever solo composition on it! 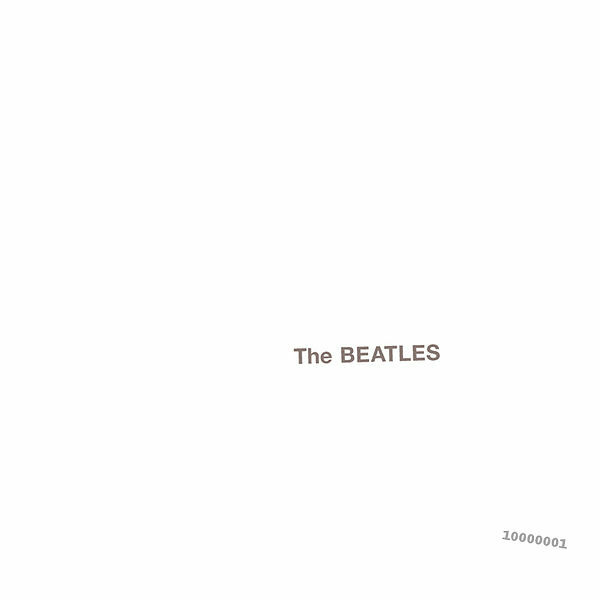 On the album's release, it was simply called The Beatles but due to it's blank white cover it quickly got re-dubbed 'The White Album' by everyone on the planet. It was also the only time Eric Clapton appeared on a Beatles album, playing a blindingly brilliant lead guitar on 'While My Guitar Gently Weeps'. This was mainly the George Martin soundtrack to the animated film of the same name that The Beatles had a live cameo in at the very end. 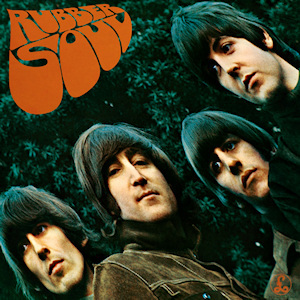 Due to it not being a full Beatles album and having material that had previously been released, it didn't reach number one. Recorded in the Summer of 1969 and after disastrous sessions for a documentary film called 'Get Back' in early 1969 at Twickenham film studios, the band decided to not let that be their goodbye to the world. 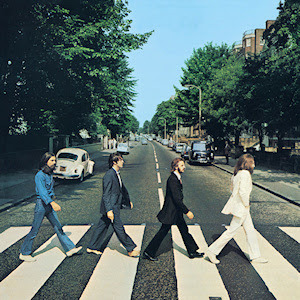 Abbey Road proved to be the Beatles parting gift to their fans and the world, a soaring, sorrowful, bittersweet goodbye that culminated in the often-repeated mantra: "And in the end, the love you make, is equal to the love you take"
After posing on the pelican crossing outside the studios for the cover photograph, the Beatles split up with an official announcement from Paul in April 1970. All song written by John Lennon & Paul McCartney except where noted. *This was originally a hidden track. Phil Spector was brought in by John to re-mix the aborted January 1969 sessions and turn them into an album for release, but was instructed to keep the feeling that it was a live album. Opinion on his efforts is divided, especially among the Beatles themselves. 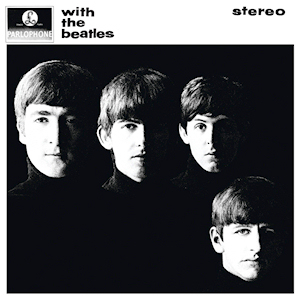 The album was released to coincide with the film of the same name, well after John, Paul, George & Ringo had gone their separate ways, and a month after an official announcement of the split was made by Paul. 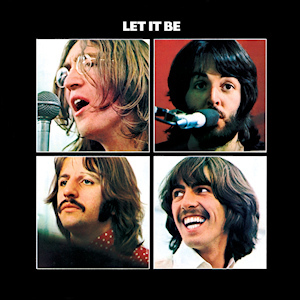 Perhaps not as successful as other albums released by the Beatles, Let it Be, was still superior to many other albums released by other musical groups and artists at the time. The Beatles' music is their ultimate reason for their ongoing fame. One only has to look at the Beatles discography to understand just how impressive it truly is. Teenagers all over the world fell in love with their distinct personalities and appearance, and are still falling in love to this day. But as their producer, George Martin, has said many times, their music is timeless and will find a new generation of fans for centuries to come. You should add the songs added to MMTour in america. it has become the standard over the british EP. Also a mention of John leaving months before Paul made the announcement that he had no plans for recording with the others in the near future which was taken as a declaration of the beatles being over and done.